1. 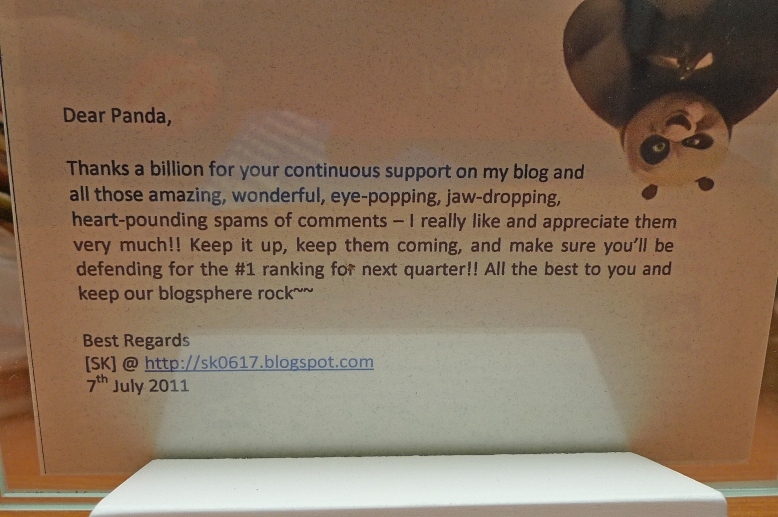 I received a gift from blogger SK the other day. 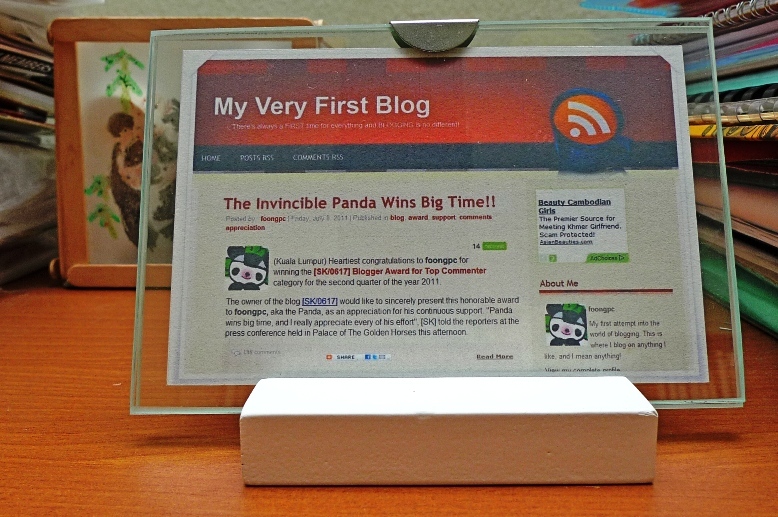 It was an unexpected award for Top Commenter in his blog! Thanks for the award, SK! I really love it! 2. 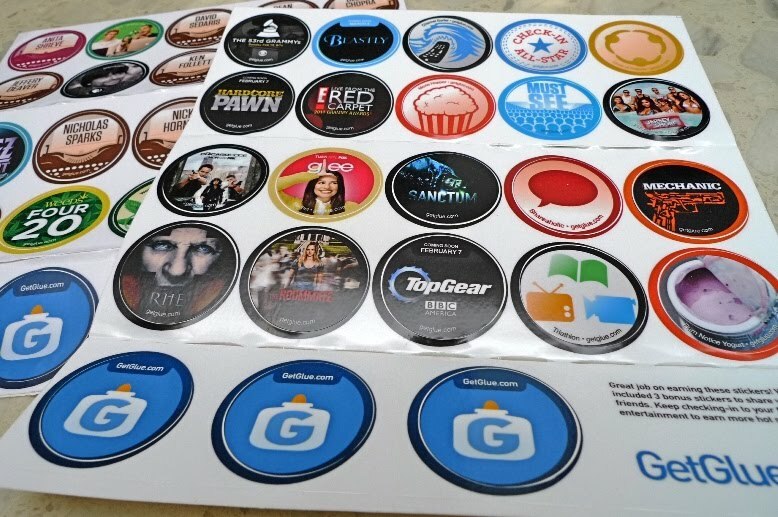 My stickers from GetGlue arrived last week! Are you a member of GetGlue? For the uninitiated, GetGlue is an entertainment based social networking site. If you are into movies, TV shows, sports, celebrities and songs, then GetGlue is for you! By checking in on the website, you can earn points and stickers! These stickers were mailed to me all the way from USA at no cost to me! Interested? 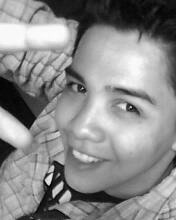 Join and follow me HERE. 3. 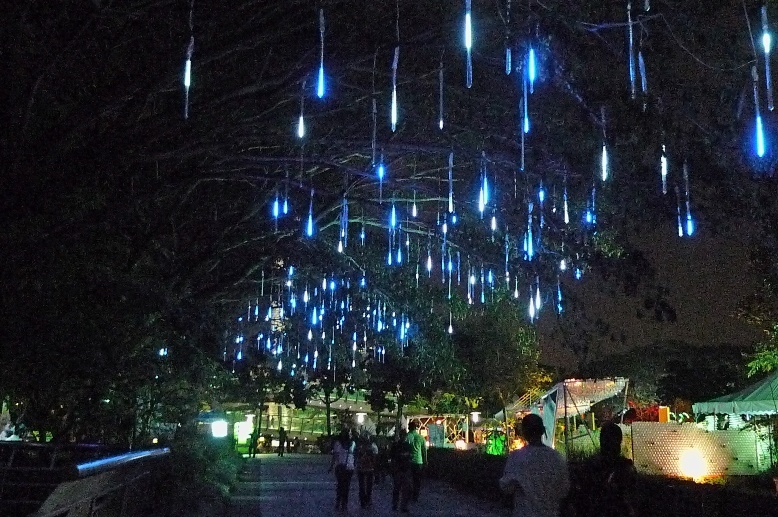 Two weeks ago, my family and I visited Putrajaya Floria 2011, a Flower and Garden Festival. We went there after dinner, so it was pretty dark by the time we reached there. I did not really get to enjoy the flowers as the lightings were insufficient. Perhaps we should have gone there in the day time. 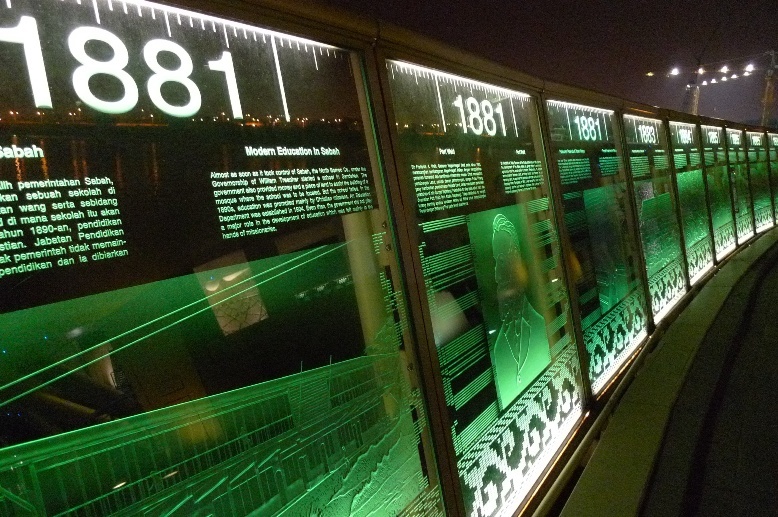 But I enjoyed walking around and reading historical facts which were displayed on the side of this walkway. 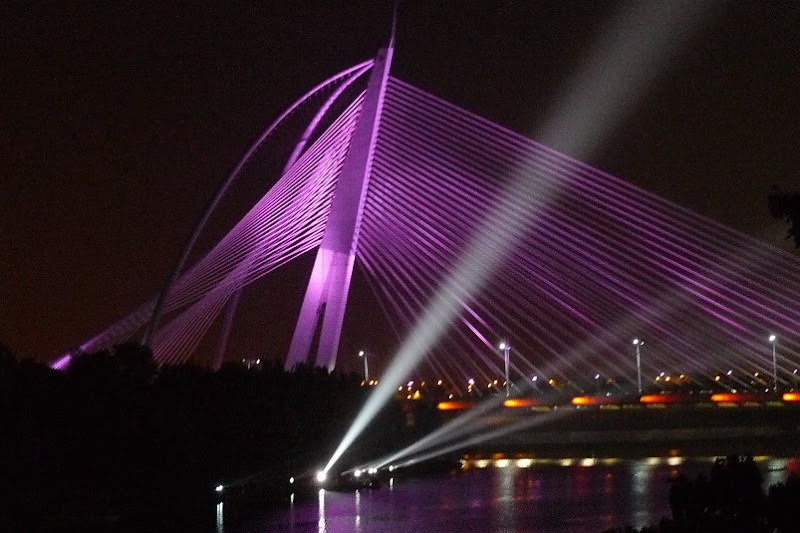 OK, to those of you who have been to Putrajaya, do you know what is the name of this bridge? It was beautifully lighted up that night. 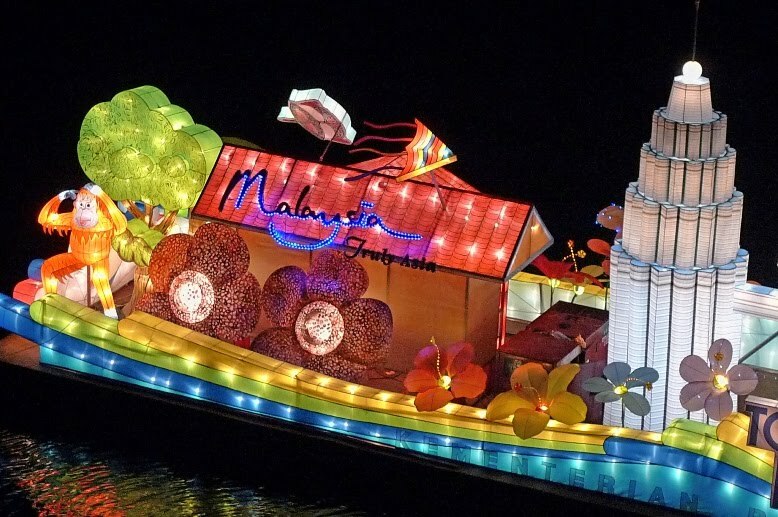 Although I did not get to see the flowers properly in the dark, I was lucky enough to see a float on the lake. 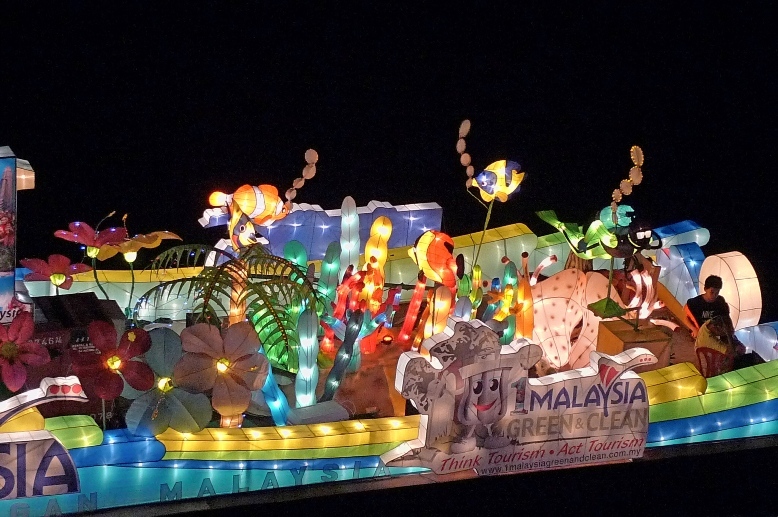 There were a few floats that night but only this float from Tourism Malaysia were near enough for me to take a shot at with my camera. 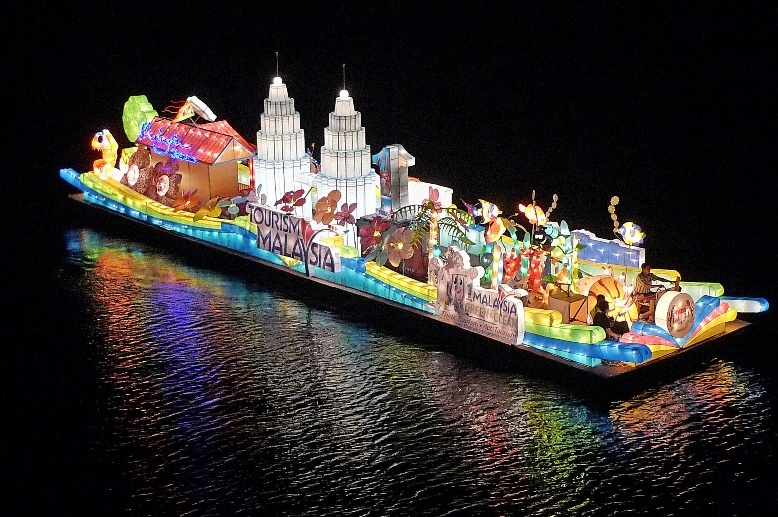 Here are a few magnified pictures of the float. This is the famous Petronas Twin Towers. Orangutan from Sabah and next to it, the Rafflesia flower - the biggest flower on earth! Can you see the fishes and the divers? The Flower & Garden Festival had already ended its run. 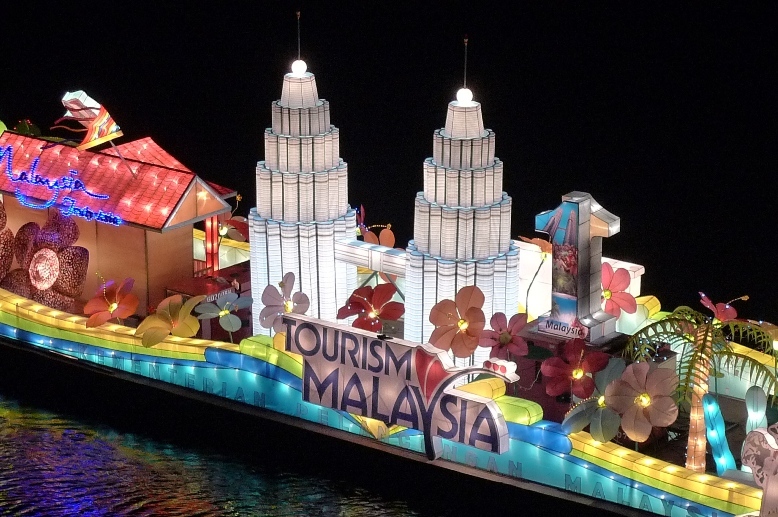 Perhaps there will be Putrajaya Floria 2012 ? You can read more about the festival HERE. 4. If you remember, I wrote about my favourite actress Angelina Jolie in a Louis Vuitton ad last month. To recall, read HERE. Now comes this full length Louis Vuitton commercial featuring Angelina Jolie. I love, love, love this video! Since I am in the midst of blogging about my Cambodia trip, I thought I would like to share with you all this nice video. In it, you can see Angelina talked about her journey in Cambodia, how she felt about the people there and what made it so special for her. Fast forward to the 6th minute, and you will see her talking about eating crickets and spiders! And of course, you'll get to see how she was filmed in the commercial. Enjoy! !